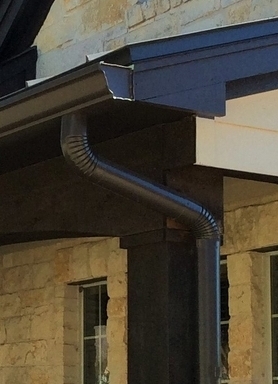 Seamless gutters were designed back in the 60's to retain water without leaking during rain. Over the last sixty years, the seamless model has been perfected. Seamless gutters have many advantages over traditional gutters. A conductor head is a device used in roof plumbing to capture storm-water runoff from the rain guttering of a building.They are often used as architectural features on a building.